Empowering mamas through connection to their changing body, growing baby, and the community that surrounds them. 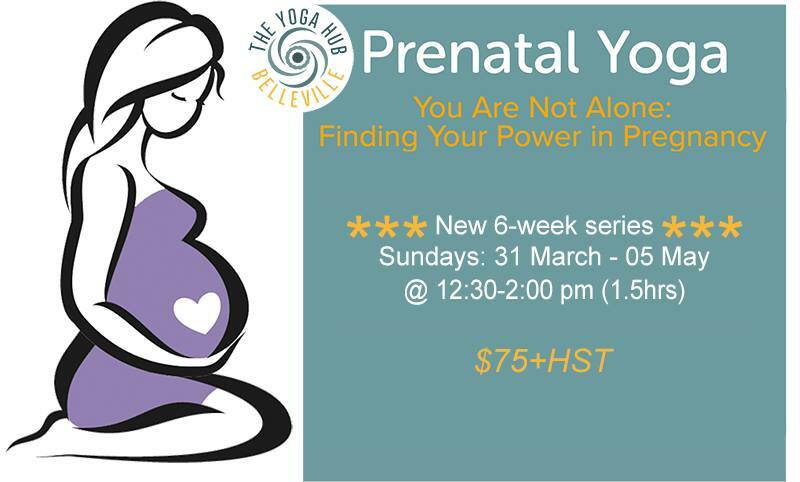 Help tap into your intuitive knowledge of the birth process during this six-week series as we navigate through childbirth myths, therapeutic movement, and communication within ourselves. Together we will learn how to alleviate common pregnancy discomfort, bring awareness to our new bodies, and connect to others in a safe space. You are not alone. Let’s come to together to find our power during pregnancy.
? Classes taught by Grace Burke registered Prenatal Yoga Teacher and certifying Doula. Reach out to shine@theyogahub.com with questions, or for more information about our next series. Pregnancy provides us with heightened awareness. Birthing persons often undergo a heightening in stamina, personal power and intuitive capacity during this time. Yoga practices are used to help cope with the common conditions of pregnancy and reframe how we interact with uncomfortable symptoms such as nausea, heartburn, backache, pelvic pain, insomnia, fatigue and anxiety. Yoga can prepare and strengthen mothers, both physically & emotionally, for the birthing experience prenatal care, and postnatal recovery. Yoga can also be used in guiding baby into the optimal fetal position during the weeks before labour. Breathing and meditation practices are a skill that can be learned by anyone and can be used during everyday life to help lower stress hormones. During pregnancy, this is particularly beneficial for the health and well-being of mothers & babies and for the development of their baby. During labour, these skills can encourage a calmer, more confident and self empowered birthing experience. Focussing on the breath in conjunction with posture practices encourages self-awareness, strength and flexibility. By the end of this series, you will have the tools and knowledge to safely move in and out of poses, allowing you the confidence to practice at home and in future classes.